In comparing diffident styles and brands of total body cycles you will find a wide difference in the style and quality. There are mini pedal cycles that can be used for both arms and legs so can be considered “total body”. Two of these popular styles are also for arms and legs where you can work one at a time. One is made so you can pedal both arms and legs at the same time. This top quality machine is incredibly low priced for what you get. Diverse in its design so you can use it with a regular chair or a wheelchair. This is the ONLY total body cycle that will allow you to actually do arm and leg pedalling exercises while lying on your back. Made with quality in mind and can be used for commercial purposes line in rehabilitation centres or general fitness your home. The stand is easy to use, just simply select what level you want the pedals. Select the height for standing, sitting, legs, arms, shoulders, and back exercises. People in wheelchairs can easily make the adjustments themselves. Simply roll up and lock the wheels. The medical accessories made for Magnet Trainers like the ergo handles will also fit the Total Body Cycle. The height adjustment on the solid steel frame allows for a precise location from 41 inches down to 11 inches. This will leave the pedal base at 2 3/4 inches from the ground. The pedal cycle component has 8 resistance levels and uses the same (tried and true) patented magnetic resistance mechanism that you may be more familiar with in the MagneTrainer and DeskCycle. The frame is made of solid steel and keeps everything stable during operation. The pedalling is quiet. Manufactured with German engineered bearings and provides as much or as little resistance as required. 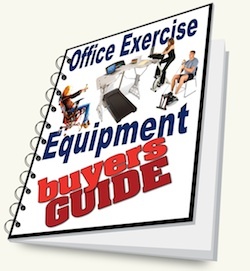 This grouping encompasses a style of portable pedal exercisers that can be moved off the floor to a table. Not all pedal exercisers are made to do this. Some are made with the low profile to fit under a desk like the DeskCycle and would not work well as an arm exerciser. Of the various available brands there are two that would be best for functionality and versatility. The first would be the highly rated MagneTrainer. It is more industrial design and quality weighing around 24lbs. The MagneTrainer is our best mini pedal exerciser and top seller for people which mobility issues, rehabilitation needs, or general fitness goals. Sit in your favourite easy chair and exercise while watching TV, knitting, or doing whatever you normally do in that chair. 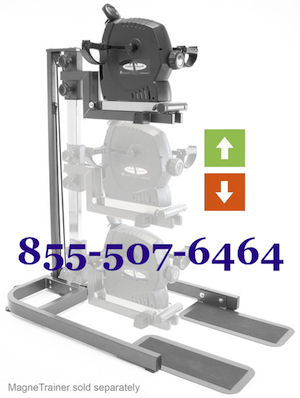 The MagneTrainer also has an auxiliary stand for mobility or wheelchair needs. Find out more about the MagneTrainer arm and leg pedal exerciser. The second choice would be the Stel’Air Deluxe Folding Pedal Exerciser. Made of steel and built to travel. The wide foot pads help to keep it in place as you pedal. When you are finished, simply fold it up and slide it under the sofa. The Stel’Air Deluxe Folding Pedal Exerciser – it is the least expensive pedal exerciser but still has sold hundreds with a 5/5 star rating. Save an ADDITIONAL 10% on your order when you enter the coupon code: DELUXE at checkout! At only 6lbs it is light enough to carry around or put on the table for arm pedalling exercise. This is one versatile mini pedalling machine. Because of it’s adaptability it makes for a great travel companion. Take it on the road, to work, or use it during your commute. Read more about the Stel’Air brand deluxe folding pedal exerciser. On this total body cycle there are handles that you either hold while you pedal your feet or place your feet while pedalling with your arms. The style is great if you don’t want to have to sit at a table to exercise your arms. One small drawback is you have to sit in an upright chair to operate because of the tall frame. Where other mini pedal exercisers will operate in front of any of your favourite places to sit. Here is a more about the Stamina In Stride Total Body Cycle. This recumbent bicycle has all the usual qualities you would expect in a rehabilitation recumbent bike with the addition of arm pedal exercisers as well. This is the only machine here that you can pedal with legs and feet for a total aerobic and fitness workout of this kind. 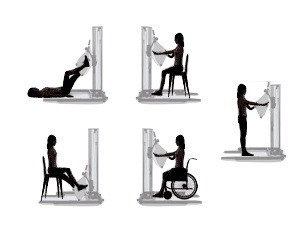 Because of the semi-reclined position of the 15-9100C Stamina Elite the user can work all the major muscle groups in their arms and legs. This includes the hips, buttocks, and thighs. The upper body pedalling component doesn’t provide as much resistance availability as some would like but you can still get a good cardio for toning and exercising the joints. The seat on the recumbent is padded for comfort and the monitor displays the level of operation, speed, distance, and calories burned. The tension adjustment knob is placed in easy reach and provides 8 levels of resistance. 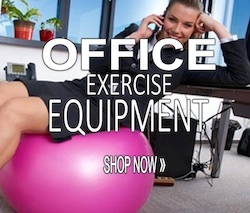 The variety of pedal exercisers that are available will provide whatever suits a particular need. The amount of space available is one major factor. Another important consideration is portability and the weight of the machine itself.